BEEHIVE The ‘60s Musical is a wild toe-tapping, head shakin’ musical tribute to the rockin’ women who made the music of the era so special – everyone from Lesley Gore to Janis Joplin, from the Shirelles to the Supremes, Aretha Franklin to Tina Turner, and every woman in between! 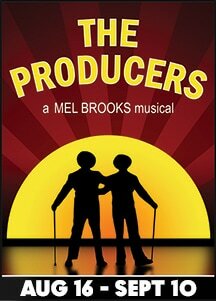 With two dozen beloved hits, the show takes you on a journey through song, documenting the dramatic changes that America underwent during the ‘60s. 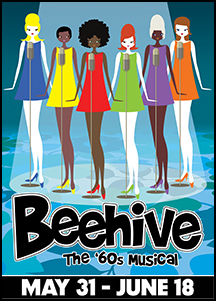 BEEHIVE The ‘60s Musical will have you dancing in your seats and coming back for more! 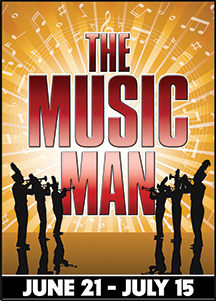 One of the most cherished American classics, THE MUSIC MAN, marches onto the Theatre By The Sea stage. Join us for the timeless story of the fast-talking salesman, Harold Hill, who cons the good folks of River City, Iowa, into believing that he can teach their children to play in a marching band. Before the fraudulent teacher can skip town with the loot, Harold’s got trouble when he falls for the quick-witted, not to mention beautiful, small town librarian, Marian. A slice of Americana you won’t want to miss! 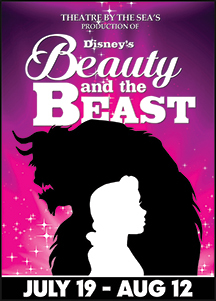 A family musical based on the 1991 Academy Award-winning animated film, Disney’s BEAUTY AND THE BEAST follows a young woman who stumbles upon a secluded castle occupied by a monstrous beast and a host of enchanted objects trying to break a witch’s spell before it is too late. It’s a classic story about finding love in the most unexpected places. This eye-popping spectacle has won the hearts of countless audiences worldwide and is filled with unforgettable characters, imaginative sets and costumes, and breath-taking production numbers. * CONTAINS STRONG LANGUAGE AND ADULT HUMOR.